Over the last six months I've been working with Meesha Nehru on the Fair Tax Mark, which we launched this morning. It's got its own website here. 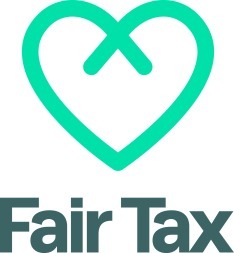 This Mark is intended to help people assess who is, and is not, telling us what we need to know to assess whether there's a fair tax system in place - and that, we think, is an important step in taking this debate forward. Well HMRC ought to be doing something along these lines! Isn’t that effectively what the PAC review is saying – that HMRC haven’t done a good enough job on Google et al. It’s easy to see what effective rate of tax a company is paying globally but trying to asses if a ‘fair’ portion is attributed to the UK is difficult and is inherently a subjective call. But that aside, doing this type of analysis is what HMRC should be doing and challenging companies about attributionof profits. To be fair I think they already do that to some extent but maybe they’re not doing enough. It’s not clear to me how Fair Tax do consider whether a company is declaring a ‘fair’ part of profit in the UK – Do you have any insight on that Richard? I’m guessing a unitary tax style apportionment? Does anuone see the irony in Justin King (sainsbury chief exec) callng for a level playing field with Amazon and his co being at thebottom of Richard’s table? I know you won’t have the nerve to post this, but if your Fair Tax Mark methodology is applied to Stemcor (and I have) they would score very badly. They have poor scores under all the dimensions you identify. Does this mean the methodology is not always accurate? This is embarrassing! The principle is fine but the quality of the research and metrics is laughable!! Morrions getting a low score in country by country reporting because they have stores in Jersey and Guernsey!!! You really think they are avoiding tax? Just look at there statutory accounts, they could not be anymore plain vanilla and conservative. They should be the benchmark! One day you will get sued for this! If you really believe in this Fair Tax Mark you will post this comment and challenge me, if it is not posted then i know your thoughts. To back up your research why dont you publish Stemcor’s score to prove to all your neo-liberal doubters that you were right and not just defending the company because of your friend M. Hodge! It is quite clear that you are the one making assumptions, if you are saying you can ascertain the purpose of a corporate from what the name sounds like. So here are some facts I have found from about 1 hour of research. Morrisons has 2 subsidiaries in Gibraltar – because it operates a supermarket there, the only supermarket on the peninsula. It also holds a pharmacy license for Gibraltar in a separate company as it is required to do by law. A quick look at the accounts of these two subs might tell you this. They have a vegetable packing plant in Holland. They have a purchasing office in Hong Kong to access Chinese suppliers. They have a captive inaurance company in IoM. These are all there for bona fide commercial purposes and confer no,tax advantage whatsoever. They do not have to respond to you or anyone else – except the tax authorities. You do yourself no favours by publishing mistruths based on thin research. Your aims are noble, but your methods are not. Respectfully, there is no mistruth in what we have published – at all. As to being sued? For what, exactly? For being identified as a company which does not disclose enough information to allow anyone to judge whether they pay the right amount of tax, in the right place, at the right time? That is either a fact or it is not. If it is not they can certainly demonstrate the error and have the award where it is merited. I hope it will become a desirable endorsement they would all like to have. Meantime I see no particular reason to assume that all is well if the information to confirm that is not available. Government and courts have to make such assumptions, given where the burden of proof lies. We do not. It is long past time for giving companies the “benefit of the doubt”, as customers. They have relied on that too long and it is perfectly obvious that some have exploited it. Fantastic!! Well done! I’m assuming you will expand over time, the number of companies involved?? Know anyone who wants to pay for it? Interesting data, but the final scores you give don’t seem to stack up very well to the data or the commentary. I’m considering buying a composter, so I went to have a look at the B&Q (Kingfisher) report. They get a 1 for country-by-country reporting, even though the report says they do a fair bit of it. They do more than the minimum of reporting, yet they get the minimum score. That seems harsh. They only get a 4 for tax rate, even though the report says they pay above the expected rate. The reason seems to be that margins are higher in France and Poland than in the UK, which suggests profit shifting, but the French tax rate is far higher than the UK one, so if they are profit shifting there it’s not to save tax. They get a 2 for tax haven use because they have subsidiaries in Hong Kong, Ireland and the Channel Islands. So, a group that buys stuff in China and sells it across the British Isles has subsidiaries in, er, China and the British Isles. Why should we assume this is to avoid tax? You’d have companies there if you were running the show, so why complain that they do? The scores just seem to be a bit arbitrary. Maybe it’s just this report, I haven’t looked at all of them. The assumptions are inherent in your methodoology. You assume that everything is bad unless you have concrete proof that it’s kosher, rather than trying to find out whether there is any mischief. The difference between a 2 and a 5 for tax havens, for example, is that for a 5 you need to understand exactly what every company in the group does, and for a 2 there need only be one company about which you are not completely satisfied. For a 1, there need only be some suspicion in your mind that a list is incomplete and there’s another company you don’t know about. So, to be clear, they score poorly because they didn’t anticipate and answer your detailed questions in their accounts before you asked them? (For example, the reason for their margin in France vs the UK and potentially a ton of other stuff). Perhaps they also score zero on a clairvoyant test. The company that led the protest against having to charge VAT on hot takeaway food, just as they were supposed to have been doing for the past thirty years or so? Hiding behind a case (Pembertons) which has recently been shown by the Subway case to have been wrongly decided all along? Please tell me where we said we were rating that? It’s another flaw in your process: you’re looking only at CT, but by calling it a “Fair Tax Mark” you suggest that it encompasses all taxes. I was surprised when I found that it was only CT. I know you say you’re not counting VAT because the company doesn’t bear the cost of VAT, but that is of course not entirely true – as Mike suggests. Only if the business can fully recover VAT. Banks for example bear the cost of VAT through their P&L as do many other partially exempt businesses. VAT is a real cost to their business. From a pure review of the accounts and avoiding jumping to any assumptions that easily explain discrepancies the Tax Research LLP and Tax Justice Network Limited accounts don’t score high enough to get a Fair Tax Mark either. Surely TR LLP tax is paid by all the partners, not just yourself? I haven’t looked at your accounts, but you can’t normally have an LLP with only one member. Unless of course all the profit is allocated to you, but that would be a very odd way to run a partnership. Ah, but that’s a lot of assertions not actually disclosed in the accounts just like we are not allowed to make the assumption that B&Q’s margins in France can’t be tax avoidance because the French tax rate is higher than the UK or Morrisons operations in Gibraltar are genuine supermarkets or we can’t assume that their captive is subject to a CFC apportionment so there may not be any tax advantage. . Equally we can’t simply assume TJN pays small companies rate and there’s no explicit statement in the accounts that you don’t have tax havens or don’t have, say, overseas branches in tax havens (some of the turnover appears to have an overseas source). All is no doubt fine (just it will be for a lot of companies on the list). However, you can still get a score that clearly implies you haven’t paid you “fair share” just on the basis of data in the public realm. Hold on, you have a 1% partner? You have a partner who presumably therefore does nothing significant in the business, or they’d have a significant share in the partnership? In the absence of any information, one might suspect the only purpose of a 1% partner is to comply with the letter of the LLP rules in order to obtain limited liability for what might otherwise be an unlimited sole trader. How do you know she does nothing significant in the business? I think the biggest problem here is calling it a fair tax mark when it’s largely a tax transparency mark (if that). The name clearly carries the implication that a low score means a business is not paying its fair share when in effect it hasn’t adequately described the position to your satisfaction. So taking an analogy, it’s like having a healthy eating label and failing a salad for not saying there’s lettuce in it but giving a hamburger the thumbs up for saying it doesn’t have much sugar in it and listing the ingredients of the bread. 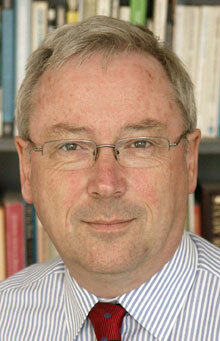 Do you have any awareness of the current debates on tax? I see you have adopted your usual tactice of attacking the person rather than dealing with the point. Perhaps if I don’t understand it doesn’t that prove the point that perhaps many others will be confused by what this mark represents? On John Lewis, what’s the rationale for not adjusting for the 2009 profit on the sale of an associate. This is a tax free disposal under the intention and letter of the law. That effectively means tax compliance (claiming SSE relief) has the same weighting as aggressive tax avoidance when assessing the tax gap in your methodology which seems very harsh/unfair. And since we cannot be sure how much the saving due to that was in most cases – how should we adjust? If you can’t adjust for it, maybe you could at least disclose the existence of it in your report? That way readers can take it into account, even if the numbers aren’t precise. It also seems a bit disproportionate, looking at the John Lewis report, to give them nil for country-by-country when they have almost no presence outside the UK. Not reporting the results of a couple of shops out of over 300 isn’t that big an issue, surely? It’s easy to adjust for isn’t it? Take the £127m disclosed profit on the sale of the associate from the total profit before tax figure (to give profits absent the one off tax free sale) and then recalculate the effective rate based on this reduced profit figure. It doesn’t seem that hard and it gives you a fairer picture of what’s going on. It also largely explains a large part of the “tax gap” you have identified. So fair tax means ignoring several hundred pages of tax legislation and simply taxing profits of UK companies on the basis of profits in the accounts times the headline tax rate? Ok. So I think it would be fairer for LLP’s with 99% and 1% members to be taxed as a corporate and their members to be employees. That means Tax Research LLP scores a zero on the tax rate doesn’t it? ave you asked PWC whether they’d agree with that? and wouldn’t it actually be much better to make all limit companies LLPs so no shelter from income tax was available ? PWC aren’t a partnership of two partners. There’s more overall tax and NI if a corporate and the profits are paid out (whether dividend or salary) compared with a partnership. That’s a more comparable situation as all the cash is in the hands of the stakeholders at that stage. Just need an avoidance measure to prevent deferral in the company. So you are arguing there is no concept of profit in small business? Wouldn’t you really agree what is needed is a total reform of small business tax – something I suggested in 2007 and which no one has had the courage to take up? Never mind the whole “operating in tax havens” thing – selling groceries is hardly mainstream tax avoidance. It just makes the whole exercise look as if you haven’t really thought about it. Would you like to stop making what are very obviously false claims? No, it’s a way of self-insuring without having to go through the hoops designed to protect consumers, which are of course useless in a self-insurance situation. Not everything in this world is about tax, you know. Any profits in the IoM captive are fully taxed in the UK (with credit given fir any taxes already paid on hose profits to the iom govt). And IPT is paid on the premia paid by the UK parent to the captive. How in he name of god dies that constitute tax avoidance? I note you took issue with Mike Truman earlier, pointing out that the Fair Tax measure was only to do with CT, not overall tax compliance. Richard if you believe I’m confused then I’m afraid you’ve confused yourself. I cannot see where I denied that companies paid corporation tax. I cannot where I suggested journalists were confused. I might argue that on a strict basis companies actually make declarations around all the taxes they administer but I think you mean declare and pay over out of taxable profits. I quoted a member of the public praising Greggs for doing the right thing on tax. Even on a very strict reading I do not see the letter says corporation tax. So I asked if it was anomalous to ignore the pasty campaign. From your answer I assume you do not agree, a view which you are perfectly entitled to take. So why not just say so and avoid all the the talk of confusion? 1) UK company accounts are publicly available, and include tax notes which set out how the company’s corporate tax due reconciles to the stautory rate. Therefore, information is available. These tax notes are not simple to follow, as the tax system is not simple. Please stop trying to make out it is. 2) Higher retained profits in listed companies means more people can be employed and greater shareholder value, which means better valued pension funds. If a company uses legal tax planning to achieve this, what is society losing out on exactly?